WINNIPEG, Manitoba -- Midsummer is coming. The inevitable and irresistible progress of seasons calls for annual celebration in Sweden. As the nation's women's soccer team prepares to renew its rivalry with the United States in a World Cup Group D game, it hopes the days are not yet growing shorter on Lotta Schelin's time atop the sport. While the political history of independence informs the best known North American summer holidays, the Fourth of July for Americans and Canada Day for Canadians, it is the summer solstice, or Midsommar, that occupies a place on the Swedish calendar as a national holiday and rite of the season. U.S. fans might not know Lotta Schelin because she hasn't played in U.S. pro leagues -- but she's incredibly popular in Sweden. Midsummer's Eve offers the most light of the year, with the sun never setting in the northern reaches of Scandinavia. From this point on, the days grow shorter and the nights longer until winter settles back over the landscape. The career of an athlete is not so different. Physical skill, mental acumen and experience build year after year, season after season, until reaching a moment in time when body and mind coexist at their collective zenith, the Midsummer's Eve of a career. There is success beyond that moment, just as summer stretches comfortably from the solstice. As physical skills diminish, savvy can fill the void for a time. But each day beyond that peak brings the end gradually closer. The trick in sports is that we can't mark the moment's arrival on a calendar. For someone like Schelin, a forward who turned 31 in February and is participating in her third World Cup, history suggests it is approaching. But whether her peak is now or will be three years from now is almost impossible to know in the present tense. After favorite Sweden played Nigeria to a surprising 3-3 draw Monday, it is clear the former needs one of the world's best if it is to avoid being home for the holiday. "I feel like I've had a lot of pressure on my shoulders for a long time, so it's nothing new," Schelin said before Sweden's first game. "I'm just always trying to do my best and to play as well as possible and not focusing on scoring goals in that way. I'm just trying to do my best, and that's my way of taking down the pressure a little bit, maybe. But I like it, and it feels nice. I'm feeling confident in my game, so that's the most important thing. I'm not thinking about tournaments before, I'm just being here in the moment. "It's my third World Cup. I know what's going to happen and what to expect." Schelin recently was ranked the fifth-best player in the tournament by a panel of espnW voters, trailing only Marta, Alex Morgan, Vero Boquete and Christine Sinclair. What the top quartet has in common is previous exposure to North American fans beyond the World Cup or Olympics, Morgan and Sinclair as homegrown talents and Marta and Boquete in various professional leagues in the United States. Although the Swedish team will present its share of challenges, Lotta Schelin most of all, the country and its culture also helped develop one of the rising stars for the United States. That Christen Press started and scored what proved to be the winning goal for the United States against Australia in the Group D opener had at least something to do with the time she spent in Sweden while unable to catch a break from Pia Sundhage, the Swedish coach then in charge of the United States team that had no space for the former Stanford star. Press was not among those who spoke to the media Tuesday or Wednesday in Winnipeg, but of her seasons overseas, one in Gothenburg and one in Stockholm, she said a year ago: "In the U.S., my whole life I felt like I had to be the best and score more goals and run with more fitness so I could be the one in the limelight. I think that when I went to Sweden, I found the joy of being part of a team and contributing to everybody's success." Not a part of this World Cup roster but a player with 26 caps for the United States and aspirations for more, FC Kansas City midfielder Yael Averbuch had a similar experience in the year she spent in Gothenburg, the second-largest city in the country, and this week elaborated on what makes it such a welcome place for athletes used to the more familiar win-at-all-costs mentality of American sports. "Not to say I don't love playing [at home] because I do, but it was a very refreshing change for me," Averbuch said. "Just because in Sweden, in general, the culture is very laid-back and focused on enjoying what you are doing. And I think sometimes when we compete and we want to get better, we kind of lose sight of that in general as athletes. "In Sweden I felt, at least the team I played on really kind of kept that in my mind and wanted to enjoy the experience. It was important that we were good and played well, but that was always in the context of we want this to feel good and be fun, and that's why we're trying to make it work as a team." Schelin never made the move across the Atlantic Ocean, with her professional success coming first in Sweden and, roughly since her World Cup debut in 2007, with French powerhouse Olympique Lyon. Although it is easier for American fans to watch Lyon in the Champions League or Sweden in the European Championship, it still requires enough effort to remain the domain of die-hard supporters. For most fans who will enter the stadium in Winnipeg on Friday wearing Morgan or Abby Wambach jerseys, Schelin is the best player they have never, or at least rarely, seen. But what Morgan and Wambach represent to them, Schelin is to fans in a country that has been a cornerstone of the women's game for about as long as the United States has. Mats Brastedt is a journalist with Expressen, a daily national newspaper in Sweden. He has covered the national team for nearly a decade, paralleling Schelin's tenure. "She's a football star in Sweden," Brastedt said. "Everyone knows who Lotta Schelin is. Even if you're not that much into women's football, they know who she is. She's smart, she's verbal, she has a good perspective of things. She's very intelligent." And she's one heck of a goal scorer, tall, fast and technically graceful. She has scored 80 goals in 151 appearances for the national team and won the Golden Boot as the top scorer in the 2013 Euros. For Lyon, she is coming off a season in which she certainly appeared at the height of her powers when she led the league with 34 goals in 21 games. Tobin Heath is among many American players familiar with Schelin from European professional leagues as well as from international competition. Heath spent time in recent years with Paris Saint-Germain, a main rival of Lyon. "Lotta is world-class," Heath said. "I've gotten to watch her and play against her a bunch of times, and she never surprises you at just how good she is. I think her runs off the ball are super sophisticated. She gets behind the lines and finds spaces for herself to be able to create. 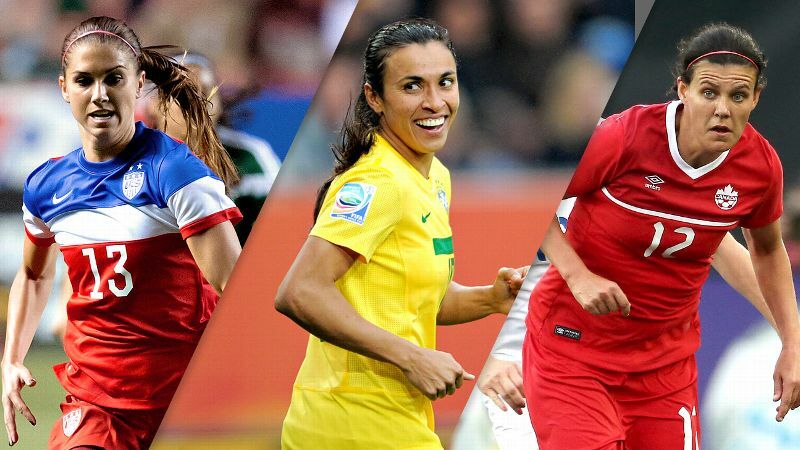 She's obviously a huge part of that team, and a huge leader for that team." This is why more than a few concerns came out of the game. 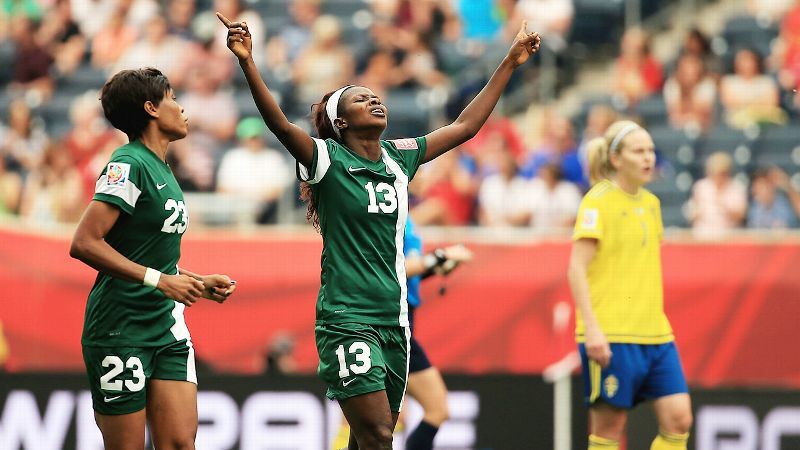 Her inability to influence the outcome of the match against Nigeria was so disappointing for Sweden. 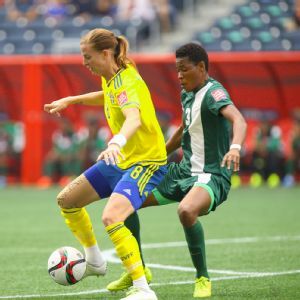 Unable to take advantage of the space offered by a stretched Nigerian side in the run of play, Sweden was slow in possession and slow to play the ball to Schelin, who in turn was oddly imprecise with her touch when the ball did find her. She had almost nothing to do with the team's three goals. "We need to keep the ball a little more," said Linda Sembrant, who scored a second-half goal as a substitute. "Get longer attacks on the offensive part of the pitch, so we can have more players involved. ... She got a little lonely, so we need to push up -- the whole team -- and keep the ball longer there. When we do that, we can get her involved." Schelin made no secret of playing this World Cup with persistent knee pain. She accounts it more the product of the toll of additional games on an already tired body (not to mention on artificial turf) than something that could be surgically repaired. Then again, would she admit otherwise? Midfielder Caroline Seger is sometimes described as the backbone of the Swedish team. Defender Nilla Fischer, although coming off a forgettable day against Nigeria despite a goal, finished third in the voting for UEFA's award for the best women's player in Europe in 2014. 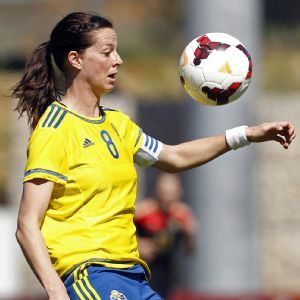 But, because of the unease she brings out in defenses and her ease in the role, Schelin is the face of Swedish football. "I think she's both a fantastic player, she's also a fantastic person for the team," Sembrant said. "She's been very good, but she's very humble with everything she does, I think, both on the pitch and outside of pitch." Like the United States, Sweden embraced the women's game far earlier than much of the world, which is why a country with a population roughly that of North Carolina remains a perennial contender to win the World Cup. Also, like the United States, it has its share of critics and Internet trolls who complain about women's sports. In fact, in a country where men's soccer is more culturally entrenched in the mainstream than it was until recently in the United States, the challenge facing Schelin is in some ways more akin to that of American women's basketball stars such as Maya Moore or Elena Delle Donne. That Schelin is so often referred to as the female Zlatan Ibrahimovic, in reference to the Swedish star who also plays professionally in France, is both a compliment and a reminder that women's soccer in Europe will forever be compared by some to the men's game. That makes Schelin's role as ambassador of a sport more difficult and at least as important. "She's been on the top of her game now for 10-some years," Brastedt said. "When they play games, when they train, it's so good to see the young kids -- girls and boys -- they come to the training, they come to the game and they always wait afterward to get an autograph from her. And she's always there. She's the nicest, sweetest person. She never walks away." Sweden will look for ways to involve star Lotta Schelin, who did not have much impact in the surprising draw against Nigeria. Eight years ago, Sweden entered the World Cup with high hopes but crashed out in the group phase. 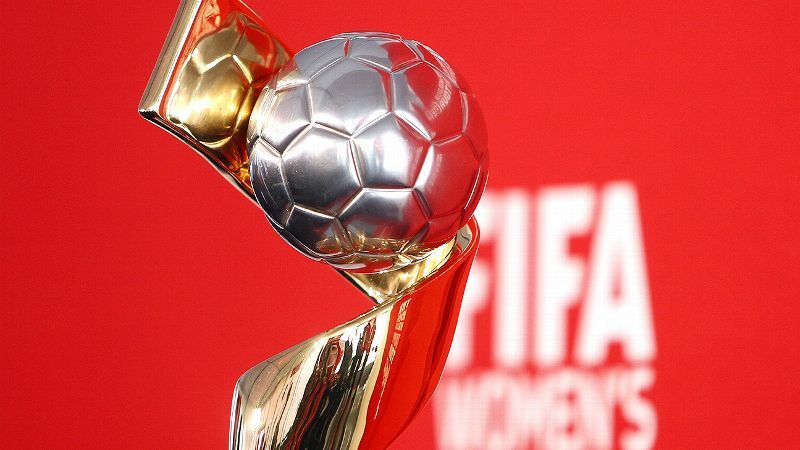 It was in this tournament that Hanna Ljungberg, Sweden's career leader in goals until surpassed by Schelin, and Victoria Svennson were -- whether through injuries, age or both -- beyond the midsummer of their careers. Each retired within two years of the disappointing finish in China. Schelin's story should be different. We should have time left to savor one of the world's best players at her peak. But should Sweden fail to qualify for next summer's Olympics -- and only the top three European finishers in this World Cup will earn spots in Brazil -- she would be 35 by the time the next major international tournament arrives. We should enjoy her now because we can. You never know in sports when the days will grow shorter. "I think she is one of the best players in the world," said Sweden's Therese Sjogran. "She is so fast, and she is easy to find in the space behind the defenders' back line. "I really enjoy playing with her, and she's just getting better and better, I think." At 38 and still going strong, Sjogran would know such things are possible for Schelin. As midsummer approaches, a nation hopes the best days are still ahead for the face of Swedish football.